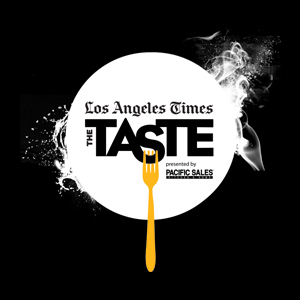 This year, we’re taking The Taste to even greater heights – in addition to ­bites from L.A.’s very best restaurants and a lineup of expertly curated demos and talks, you’ll find some of the hottest pop-ups, collaborations and pairings from chefs and restaurants you won’t be able to get anywhere else. Cross off your 2018 restaurant “must” list in one weekend. And come Hungry: Your admission ticket gets you unlimited tastings. Consider this just an appetizer — more will be added soon. Keep checking back: Our lineup of demos, chats and restaurants is still growing! 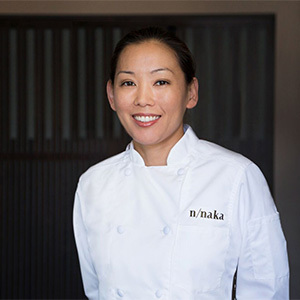 Born and raised in Los Angeles, Nakayama began her career at the popular Takao restaurant in Brentwood, following her graduation from culinary school in nearby Pasadena. After embarking on a three-year working tour of Japan immersing herself in the deeply nuanced methods and flavors of both traditional and contemporary Japanese cuisine, including the art of traditional kaiseki, Nakayama returned to her hometown to open Azami Sushi Café on Melrose Avenue. Today, n/nakaserves as a global destination for modern kaiseki with a California twist, at which Nakayama serves world-class, artfully curated, and exquisite dishes in a progression designed to reflect the mood of season, time, and place. One of the toughest reservations to get in L.A., n/naka’sbooks typically fill up three months out, a testament to Nakayama’s resonance in the international culinary world. Critics also take note—the restaurant has appeared on Jonathan Gold’s “101 Best Restaurants” every year since opening in 2013,and continues to catch the attention of media including T Magazine (The New York Times), Eater, Vogue.com, and many more. Nakayama’s devotion to sustainability also plays out at n/naka, with currently 70% of its ingredients sourced locally—a rarity in Japanese fine dining. At 2017’s Food on Edge symposium in Galway, Ireland, she explained how the pillars of kaiseki, to integrate your surroundings into the cuisine, find harmony with these sustainability initiatives. Outside of the restaurant, the chef can be found at her Los Angeles home spending time with her wife and their three dogs—a golden retriever, a Chihuahua, and a terrier mix. One of her favorite pastimes, playing guitar, “allows for decompression,” she says, when she steps away from the kitchen. Growing up in a family of restaurateurs, Carole Iida-Nakayama wanted to carve her own career path by majoring in English and securing a job in the corporate world. After a few years sitting behind a desk, however, Iida-Nakayama found herself in need of some inspiration and felt the pull towards the restaurant realm. She decided to leave her job at an internet start-up company to manage her parents’ Japanese restaurant, staying for six years until eventually opening her own business focusing on Japanese comfort food. 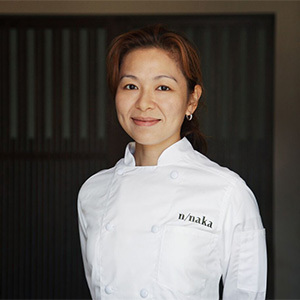 Like Nakayama, Iida-Nakayama sees the ingredient as the star of the show at n/naka. Determined to never overpower natural flavors and textures, Iida-Nakayama is mindful of using delicate cooking techniques and seasonings when putting together dishes. Iida-Nakayama also places high importance on staying connected to nature. “It’s hard to feel seasons here in L.A.,” Iida-Nakayama explains. “You needto grasp seasonality by getting right into nature.” The chefs’ backyard plots—an urban garden designed in collaboration with Farmscape, an L.A. based urban agriculture company—grow the lion’s share of the restaurant’s heirloom herbs and vegetables. Iida-Nakayama sees the landscape of her urban surroundings as equally inspirational, describing her city’s rapidly growing culinary scene as “so ethnically diverse, which allows for this amazing redefining of cuisine all the time, for people to be challenged and for food to be elevated.” Outside of the kitchen, Iida-Nakayama enjoys spending time with her wife and their three dogs, as well as traveling to new places to explore different cultures and food scenes. As the L.A. Times Test Kitchen director, Carter oversees the testing of all recipes that appear in The Times. In addition, she writes features, pens the "Culinary SOS" column, and contributes daily kitchen tips, recipes and videos to Food’s Daily Dish blog, and is also a regular contributor to "The Splendid Table" radio program. A native Southern Californian, she also holds a degree in film from the University of Southern California and, when she’s not cooking, loves watching old movies. Sean Lowenthal was born and raised in Georgia and moved to Colorado with his brother as a young adult. He got his degree in Culinary Arts at The Art Institute of Colorado, and worked at a variety of high end restaurants in Denver and Vail - eventually becoming chef at the Greenbriar Inn, in Boulder, Colorado. He moved to Los Angeles in 2009 and eventually met his wife, Deborah, at the dog park. While working as the sous chef at the historic Chateau Marmont, he built his life on the East Side with his wife Deborah, step son Miles, and their two dogs; and in 2012 Sean made the jump, and he and his wife opened Little Beast. In 1976 his wine & spirits career began in a retail wine shop. As his knowledge and passion for the product grew he eventually became a Sommelier in a Beverly Hills Restaurant. In 1983, he was hired by Southern Wine & Spirits of California and in 1996 he was named the Director of Education. His illustrious career has taken him to visit most of the major wine regions in Europe and The Americas. He attained the CWE (Certified Wine Educator) in 1999. He holds a diploma from the Bordeaux Wine School, is a certified International Bordeaux Educator, as well as a certified Cognac Educator by le Bureau National Interprofessionnel du Cognac. Most recently he became a CSE (Certified Spirits Educator) - 1 of only 11 in the world. He is a guest lecturer at Cal Poly Pomona’s School of Hospitality each semester. 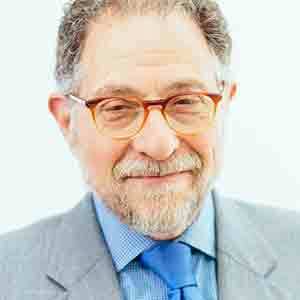 He has served as the President of the Society of Wine Educators from 2010 – 2013 and has been on the Board of Directors of the Los Angeles Chapter of the AIWF and was a member of the Bon Appetit Tasting Panel. He is actively involved in many wine-related charity events throughout the country. Christine Dalton is a member of Pernod Ricard Winemakers’ International Graduate Wine Ambassador Program, based in Southern California. 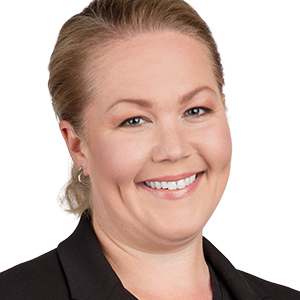 As representative of the Pernod Ricard wine portfolio, she has spent time learning and working vintage in Rioja, Spain, Sonoma, California, the Barossa Valley, Australia and Marlborough, New Zealand. 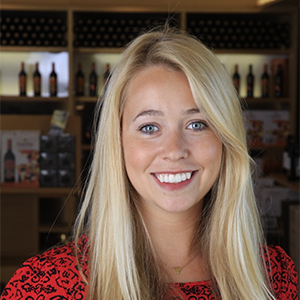 Originally from the Washington D.C. metro area, she previously wrote forWine Spectator magazine as an Assistant Editor, and volunteered at the Astor Center at Astor Wines & Spirits in New York City. She began formal wine training with an introductory wine course at Cornell University while working toward a dual degree in Government and American Studies. She is a Diploma Candidate and Nominated Educator through the Wine and Spirits Education Trust (WSET) and Certified Specialist of Wine with the Society of Wine Educators. South African native Kim Stodel, joined Los Angeles lauded Providence in 2015 as a bartender, and as of 2016 as Bar Director. 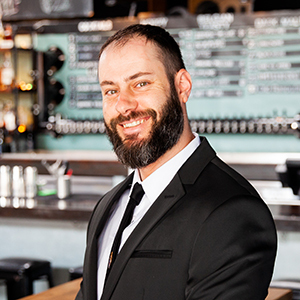 At the fine dining establishment, he concocts "micro-seasonal" cocktails to complement the ever-evolving menu from Executive Chef/Owner Michael Cimarusti. Influenced by the talent in the kitchen, he credits the culinary team as the inspiration for many of his creations and echoes their conservational mindset. "One thing I learned from the kitchen is that you have to keep trying. If an idea doesn't work, put it on the back burner and evolve." says Stodel. Since joining the team at Providence, Stodel has developed zero-waste cocktails in an effort to embrace a survivalist mentality and honor the seasonality of the kitchen. In doing so, he has found a way to make the beverage program special without taking away from the kitchen. "Everything takes on culinary approach, it is essentially learning how," Stodel says of his craft. Trying to repurpose ingredients, Stodel does not go out of his way to purchase items for the bar unless he can get two uses out of it. As a result, he has gained flexibility in creating the beverage menu, often foraging for ingredients―such as wood sorrel, peas shells, beets shavings, apple peels, etc.―in the kitchen, on the restaurant's rooftop herb garden, before conducting a taste-test with General Manager Luke McKinley, Wine Director David Osenbach, alongside Co-Owner/General Manager Donato Poto. Stodel, 38, lives in Echo Park, Los Angeles. 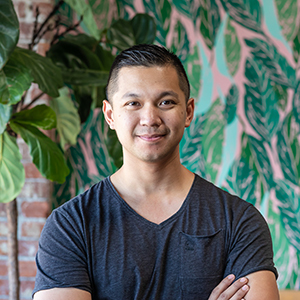 Outside of concocting incredible drinks at Providence, he enjoys hiking, bike riding, yoga and playing his ukulele named Jim. Lora began her career in the wine and hospitality industry 20 years ago when she discovered her passion for wine while working in the restaurant industry. She attained her Certified Sommelier from the Court of Master Sommeliers while working at The Breakers Resort in Palm Beach in 2009. She also has her WSET Advanced Certification, CSS, and CSW. In 2011, Lora left the restaurant industry to join Coastal Pacific Wine & Spirits, a division of Southern Glazer’s, as a Moët Hennessy Portfolio Manager in FL. 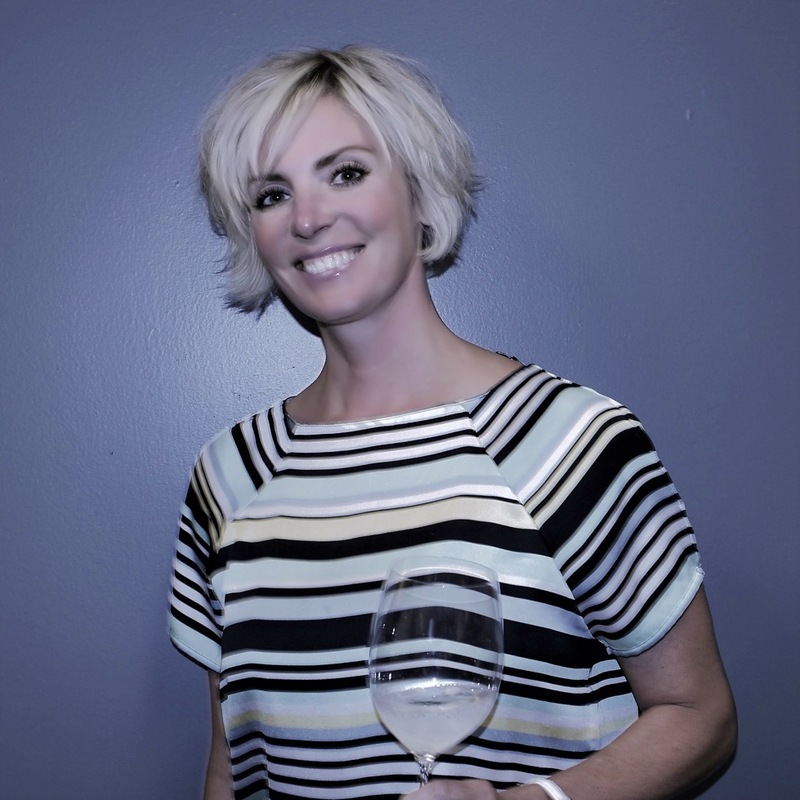 In 2014, Lora started in her current educational role as Talent Development Manager in which she is in charge of internal training and professional development for all of Pacific Wine & Spirits of CA & HI. Andrea Chang writes about food and restaurants for the Los Angeles Times. She previously served as an assistant Business editor and covered technology and retail as a reporter. 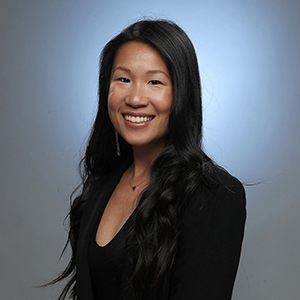 Chang graduated from the Medill School of Journalism at Northwestern University and has written for the St. Petersburg Times, the Oregonian and the Mercury News. She grew up in Cupertino, Calif., and joined The Times in 2007. Chang was taking photos of food before smartphones existed and will happily eat anything – except fresh ginger. You're In! We look forward to sending you updates about The Taste.